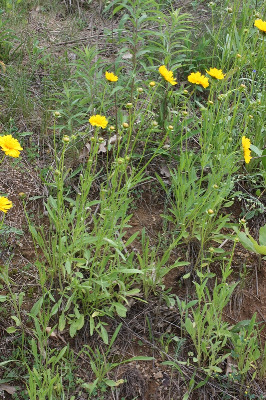 Native in the southeastern United States, commonly cultivated and locally established as an escape from cultivation along railroads and roadsides, in fields, sandy banks, and clearings. First collected in 1925 in Wayne Co.
Not always easily distinguished from C. lanceolata. Both have achenes that may be granular-papillose on the surface and that usually have a large callus at each end on the inner (concave) face. Some of the variability may represent hybridization with C. lanceolata. MICHIGAN FLORA ONLINE. A. A. Reznicek, E. G. Voss, & B. S. Walters. February 2011. University of Michigan. Web. 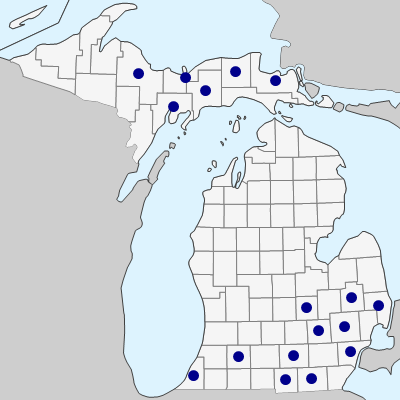 April 19, 2019. https://michiganflora.net/species.aspx?id=295.